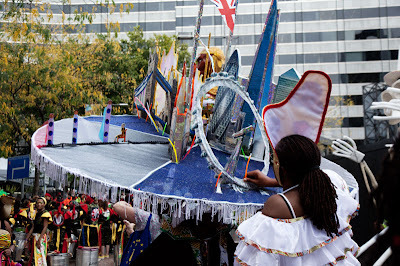 The fabulous weekend of the Thames festival ends with a spectacular parade, followed by fireworks. Magnificent costumes, lights and performers. Summer ends with a bang here. Preparing the final touches to an enormous hat carrying the city of London on top. So nice to see each city has its festival in september. Original hat, did somebody really carried it on? Now that's what I call a serious hat, sounds like the festival is going to end with a bang Mo, looks like you've thoroughly enjoyed the weekend. I love that hat! Did you stay until the fireworks? I believe they started 40 minutes late. Wow, you need strong neck muscles to support that hat! Does that hat come in a 7-1/2? I will look up when the next Brueghel festivities take place and let you know. great London hat picture by the way ! What great photo opportunities! Love the hat. That really is some hat! A magnificent way to say goodbye to Summer, great image!